A successful career can only be built on a solid foundation. To achieve this we do not teach you routine treatments because no two clients are ever the same. Nor do we teach you how to perform a set of standard techniques which can only be repeated in the same way. Instead we give you the principle building blocks of the techniques so you can adapt them to suit the specific needs of the individual client. Our tutors can do this extremely well because they have decades of clinical and teaching experience to share with our students. As part of the ISRM training students have to complete 100 practice treatments outside of the classroom. This not only helps develop technical skills but also teaches you how to communicate and get clients. At this early stage of your career you will mostly do Sports Massage (or Deep Tissue Massage for non-athletes) which is the perfect environment in which to perfect your skills. It should also mean that when you qualify you will already have a client-base to start build on. As you learn more assessment and treatment methods and achieve much better results with client’s more complex injury problems your reputation for this type of work will then spread. You start to attract more clients who need treatment for injuries rather than just a good massage. With this your career should really start to take off because everyone suffers with some aches and pains so they are all potential clients. It also makes it a much more stimulating career because every day is different with a wider range of clients and a multitude of different problems to tackle. The sports massage you started with as a student tends to be evening and weekend work which is not ideal for a lifetime career. But when someone has a painful injury they will be willing to have treatment during regular working hours which gives you a more viable working life. Although some ISRM therapist have full-time jobs with professional sports teams or private sector injury clinics, the vast majority are self-employed and work in a variety of situations. Some run clinics from their home if they have a room to spare, most others rent rooms at health clubs and/or work part-time at private clinics alongside Physiotherapists and Osteopaths. Many also visit clients in their homes which can be very lucrative. Very many of our graduates go on to make a good living as Soft Tissue Therapists but a lot have gone on later to study Osteopathy and have become even more successful by having both sets of skills. 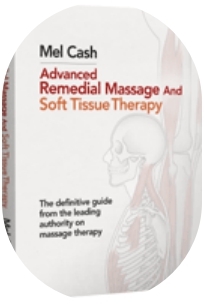 ISRM therapists often combine Soft Tissue Therapy with sport/exercise qualifications or with other forms of bodywork like Pilates, Feldenkrais method or the Alexander technique. We don’t train therapists to do a job, we aim to give them a stimulating and rewarding lifetime career and our BTEC Level 5 Professional Diploma in Soft Tissue Therapy is the only one of its kind in the UK. The LSSM course I did in 2007 was the best thing I ever did. I see clients in my area, offering most of them home visits, and some, at my home. I cannot recommend this course enough, so very rewarding. I now have 3 therapists who do part time work for me/with me. Thanks to Mel, I have found my job satisfaction in so many ways.